You’re in the jungle. There seems to be Soviet shenanigans afoot and the easiest way to make it across enemy terrain is to blend in with your surroundings. Fortunately, there’s a wide array of camouflage in that nifty CIA-issued fanny pack you’re wearing. But none of it is solid brown, so you can’t perfectly blend in with the floor of the run-down shack where you plan to hide. The solution here is easy: Sort through the photos you have on your 3DS — because they totally had those in the 1960s — and look for something brown. It’s a good thing you took a pic of your desk back home — now you can blend in perfectly. Until you reach the shoddy lean-to, you should wear that leafy camo you’ve got. Enemy soldiers are afoot, so you throw yourself onto your belly and crawl toward the shack. It’s a bit slow, isn’t it? That means it’s time to crouch a bit and sneak to your destination. It’s kind of a big deal: This wasn’t even possible eight years ago. Upon entering the shack, you notice there’s a miniature Yoshi sporting a goofy grin under a desk. Might as well shoot it, right? 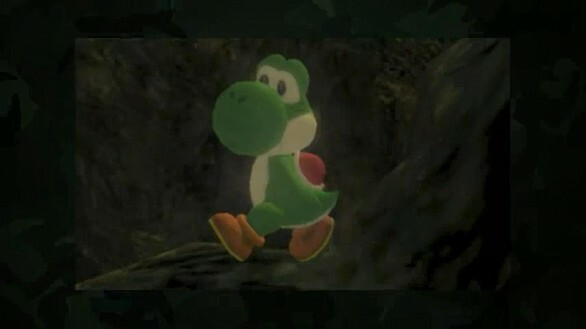 Surprisingly, the stuffed dinosaur doesn’t start reciting its own name in a squeaky voice as it has since Yoshi’s Story. Instead the garbled 16-bit sound bite from Super Mario World plays over and over as the doll pivots on one foot, alerting enemy soldiers to your presence. As nostalgia pours out of Yoshi’s every orifice, you hear something equally familiar, a noise you’ve come to equate with an exclamation point. As far as Metal Gear Solid games go, Snake Eater 3D sticks to all the tried-and-true tenets you’ve come to expect from the series over the last decade-plus. It is, after all, a port of the 2004 PlayStation 2 game. 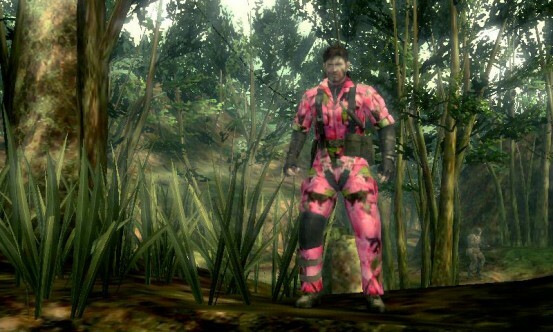 Everything you remember from the first time you ventured into the jungle with Naked Snake and The Boss will come flooding back once you start its newest iteration. For those of you who aren’t familiar with the original, we’ll get down to brass tacks for a moment. It’s the height of the Cold War, and one of the United States’ most valuable agents has defected to the Soviet Union. 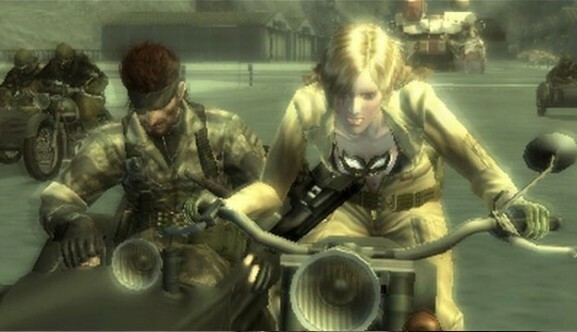 It’s then that the CIA appoints Naked Snake, the man she’s mentored, to assassinate her. 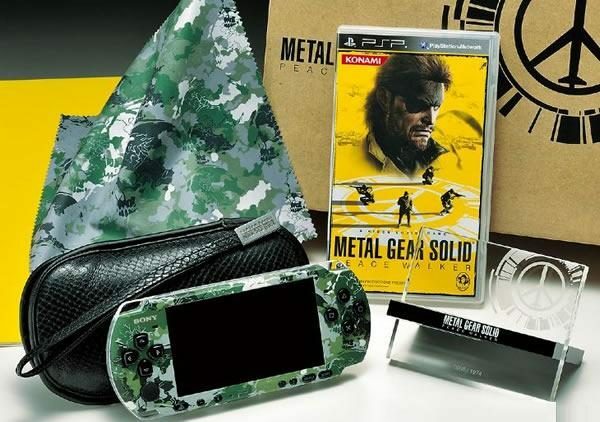 The story contained within Snake Eater, although just as full of baffling events and monologues as other entries in the Metal Gear Solid series, is easily stronger on its own than its predecessors and those to come after. 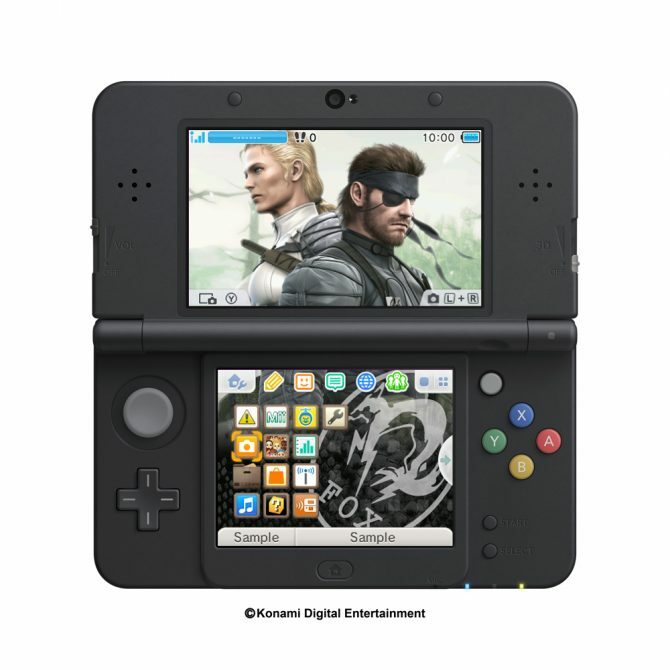 Perhaps it’s because of this that Konami chose to port this particular chapter of the Metal Gear saga to the 3DS. Snake Eater is a strong standalone story made better if you’ve played any other game in the series. It’s sort of like seeing photos of your parents from when they were in their mid-20s and 30s. Your dad smoked the same brand of cigarettes you blow every spare dollar on and your uncle was just learning his way around a set of revolvers. But he’s not really your dad — you’re a clone — and that’s not your uncle, but he’s grafted your clone brother’s arm onto his because … well, maybe we’ll leave the Metal Gear Solid story lessons to the wikis. 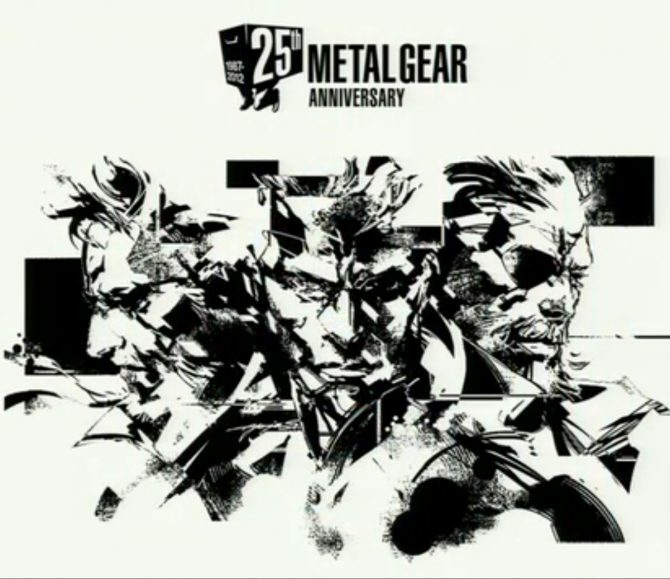 For now, suffice it to say that playing Snake Eater 3D with a cursory knowledge of the franchise will give you goosebumps whenever the words snake, ocelot and boss are uttered. The game’s title itself is just as much a description of what you’ll spend much of your time doing as it is a play on your mission’s codename. 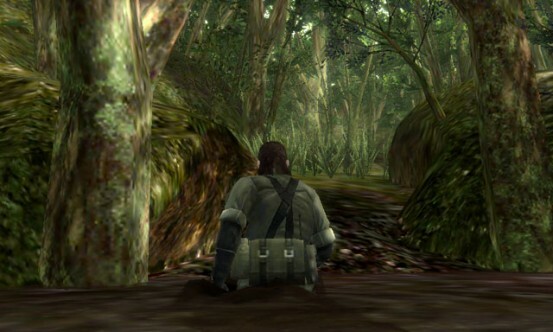 Unlike other games in the series, this version of Snake has to hunt for sustenance. You can’t rely on prepackaged military rations this time around — those are scarcely present. In addition to a health meter, Naked Snake has a stamina gauge that affects how quickly he heals and how steadily he can hold a gun. In order to replenish the stamina gauge, the man’s gotta eat. And what better quarry than every living creature (save for humans) that litters the jungle? It’s a good thing Snake can hold more food than you’ll ever need at a given moment because if you’re anything like me, stealth missions tend to turn into frantic firefights, particularly when there’s a deadline to be met. Snake will also sustain various injuries while in the field and it’s up to you to patch the man up. A series of tools are available for you to do so, from bandages and disinfectant to suture tools and cigars for burning off leaches. Whenever you see the soldier isn’t healing as much as he should be — he recovers health over time if his stamina gauge has any juice in it — pop into the medic menu on the 3DS touch screen or access it by pressing Start or Select. It’s in this menu that you can treat wounds to various degrees. Most injuries require more than one piece of equipment to heal. You’ll often need to disinfect a scrape in addition to sewing it up and bandaging it, but if you don’t have all the necessary tools to repair yourself 100-percent, at least you can do so partially. That all of this takes place within menus may be seen as bothersome, but I can’t imagine having to perform these tasks in real-time during some of the game’s more intense action sequences. If you’re anything like me, you forget just how little playing you do for the first couple of hours of a Metal Gear Solid game. 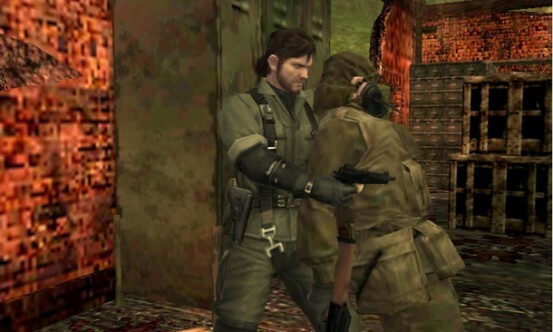 Much of your adventure’s outset is spent listening to an incarnation of Snake (whether Solid, Liquid or Naked doesn’t matter) yammering back and forth with somebody on the other end of a codec. Snake Eater 3D is no different. It’s as true to the PS2 original as you could hope. Regardless of which side of the spectrum you fall under — newbie or veteran — this can often fall to the game’s detriment on Nintendo’s handheld. 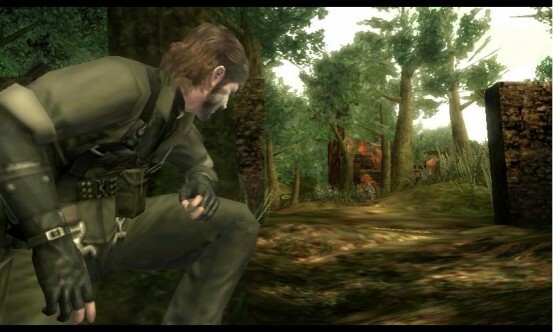 The abundance of grandiose cinematics may be what makes Snake Eater 3D a bit of a disappointment. Although you can plug a pair of headphones into the handheld for a level of immersion not usually possible with setups requiring a television, these cutscenes seem tailor-made to be viewed from a comfortable couch with popcorn in one hand and a cold drink in another, not a 3.5-inch screen you have to support yourself. This certainly isn’t a game I’d choose to entertain me on a lengthy plane or bus ride. Your 3DS would consume most of its battery as you watched scene after scene. And even though the game looks decent enough, it’s not nearly as much of a step up as other ports on the handheld. Then again, most of those games are at least one generation older than Snake Eater, so you can’t really fault anyone there. The biggest problem here is that it’s sometimes difficult to spot enemies. I can’t tell you how many times I shot at a rock I believed to be a Soviet footsoldier. The other major detriment to the Snake Eater experience on the 3DS is the lack of a second analog stick. I pre-ordered a Circle Pad Pro from GameStop in order to properly review the game, but I’ve not been informed that the peripheral was ready for pickup nor has it been in stock whenever I’ve called my local store. The face buttons are serviceable for the purposes of moving the camera after you get used to them, but it’s not an ideal setup. I don’t know about you, but the phrase “after you get used to it” is something that seldom makes me feel like playing a game when it’s suggested to me, so I wouldn’t blame you for feeling similarly here. 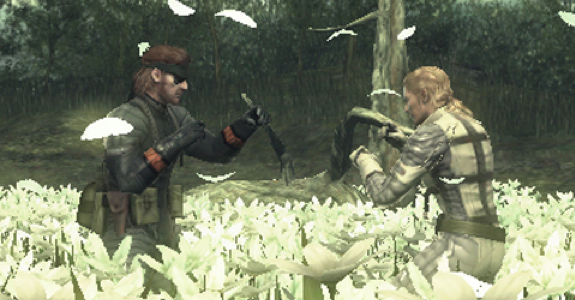 In fact, most of the issues with Snake Eater 3D stem from the clunkiness felt whenever the camera must be manipulated. Crawling on your belly is frequently a source of frustration. Manage to get yourself into a tight spot — and I don’t mean that in a metaphorical way — and you’ll wish that instead of fighting with the camera you were surrounded by enemy soldiers. There are also certain objects Naked Snake is either unable or refuses to climb. It could be an attitude problem on Snake’s behalf. Or maybe it’s a feature the folks at Kojima Productions decided we’d be better off without. Either way it’s an annoyance. But for every qualm you’ll have with the game there’s plenty it does right. Much of what sets the 3DS iteration of the title apart from its other versions we’ve already gone over. You can walk while you crouch. This tenet of the game alone makes it difficult to stomach its control issues. 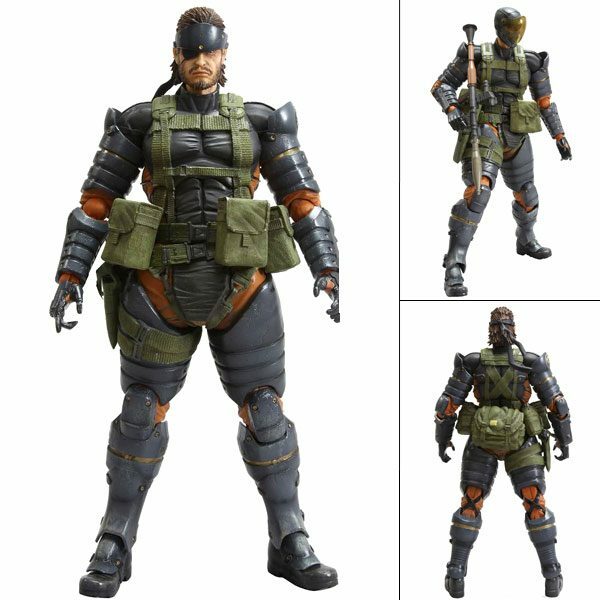 In fact, if it weren’t for the clunkiness of moving the camera with four face buttons, this would be the easiest form of Snake Eater to play. Yes, you can adjust the sensitivity of the camera, but even then there are moments when it’s infuriatingly inflexible. On the other hand, looking at my PS2 copy of Metal Gear Solid 3 and knowing that crawling slowly through terrain or running carelessly across it are my only two options isn’t the most settling thought. That point goes to Snake Eater 3D. And the showy boss fights the series is known for are just as enthralling as you remember. Again, that comes after you get used to camera movement with the face buttons. At its core, Snake Eater 3D is the same experience you remember from nearly ten years ago with a few minor tweaks. 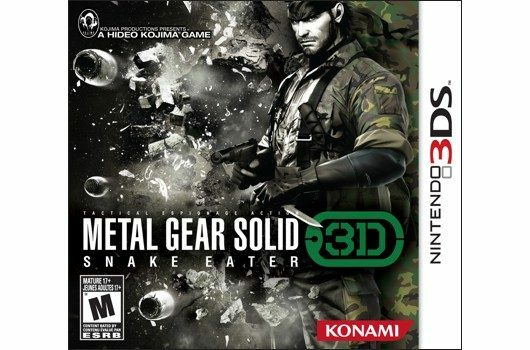 The photo camo and crouched walking are welcome additions to a classic title even if a few control and aesthetic issues arise from the nature of the 3DS platform. On its own, this port is a fair standalone game that’s worth your time if it’s the only way you can play it. 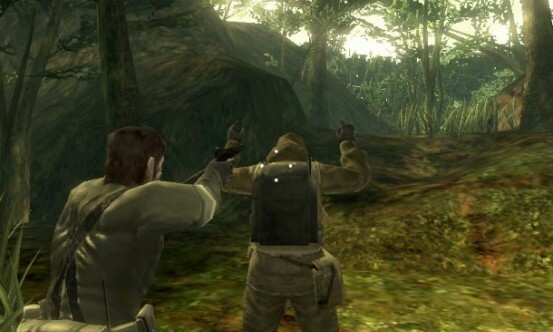 But even without the ability to crouch and walk, love it as I do, the PS2 and HD remake on the PS3 are probably your best bet if you want to enjoy Snake Eater the way it was intended. Still, I’ve gotta hand it to Konami and Kojima Productions for using those old Yoshi sound bites. That alone wins them plenty of quality points in my book. Sure, that element didn’t sway me one way or the other in the least bit, but at least I don’t have to hear that insufferably high-pitch tone. Thanks for that, Snake Eater 3D.